There were a number of high profile security breaches amongst large organisations that hit the headlines in 2011, leading to brand damage and financial fallout for the companies in question. Why did this happen and how can organisation’s help better protect themselves from security breaches in 2012? 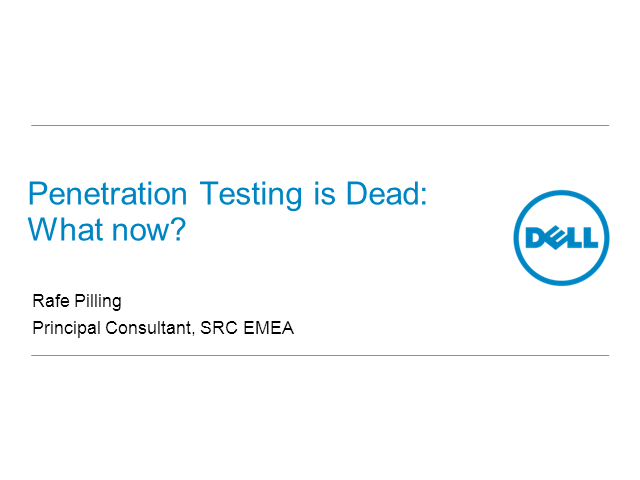 During this Dell SecureWorks webcast, Rafe Pilling, Head of Security Testing, discusses the weaknesses and exposures that often lead to the high-profile breaches and how building effective security testing programmes can help organisations stay out of the headlines. •The model of intelligence driven security testing and why you need this approach to protect your business.